Belgrade, November 16-17th. 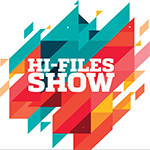 Largely unknown to wider European audiences, the Belgrade Hi-Files Show hosted by the eponymous Serbian A/V magazine is the most resilient showcase of hifi and home cinema in the Adriatic region. The 15th edition at the Holiday Inn saw an unprecedented number of exhibitors, amongst them established brands and the lively landscape of regional designers and small manufacturers. 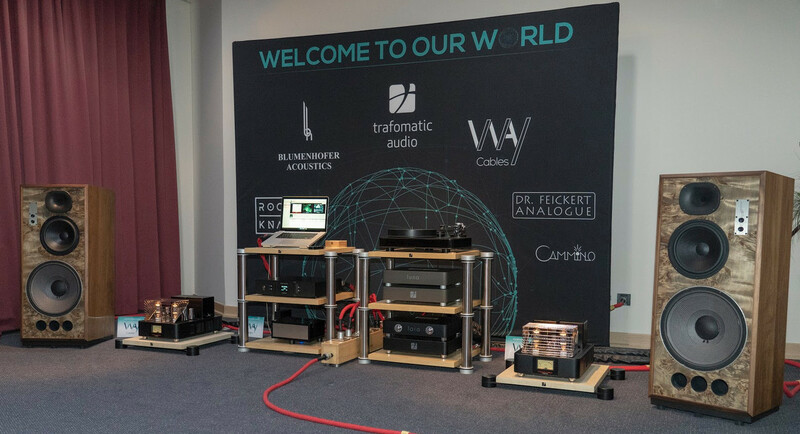 Trafomatic showed their internationally famed valve gear with our made-in-Serbia flair via their two-chassis Lara preamp (€9'100) coupled to Pandora monoblocks (€23'800/pr) with dedicated plinths. 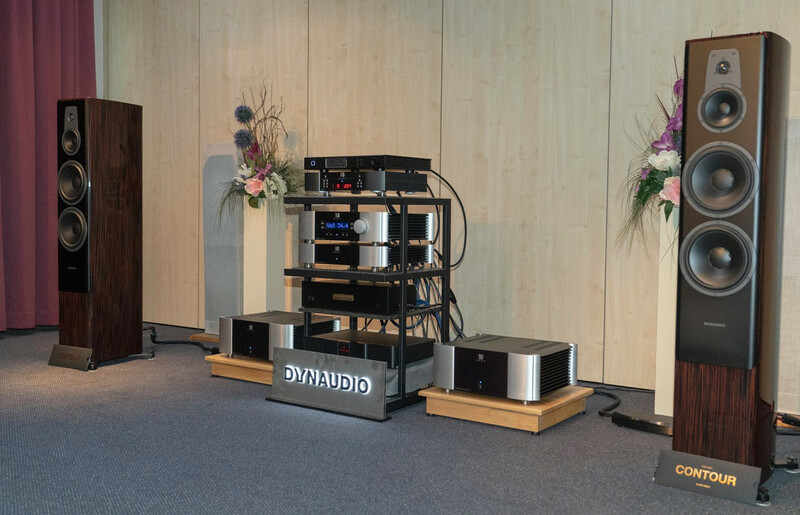 This combo was hooked up to Blumenhofer Classic 1733 speakers (€15'000/pr) via Way cables. A Dr. Feickert Woodpecker turntable (€4'000) with vdH Black Crimson cartridge played source through Trafomatic's Luna phono preamp (€14'800). Rotary Audio presented a true statement analogue/digital system. 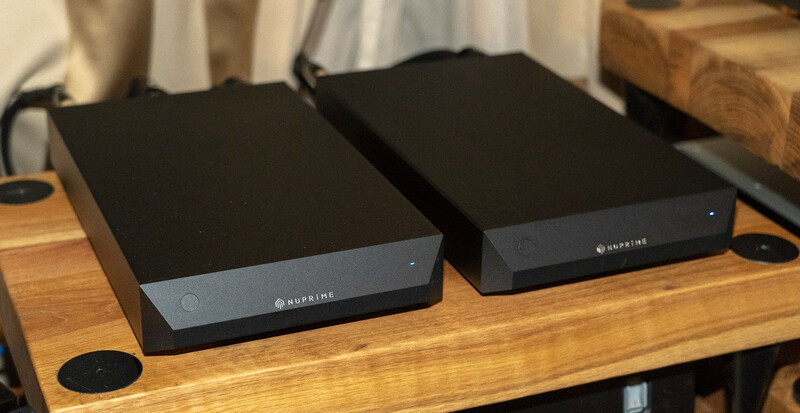 The analogue side was based around the latest Kuzma Stabi R (€14'000) equipped with CAR-30 cartridge (€8'200) and connected to a D'Agostino Momentum integrated (€35'000). 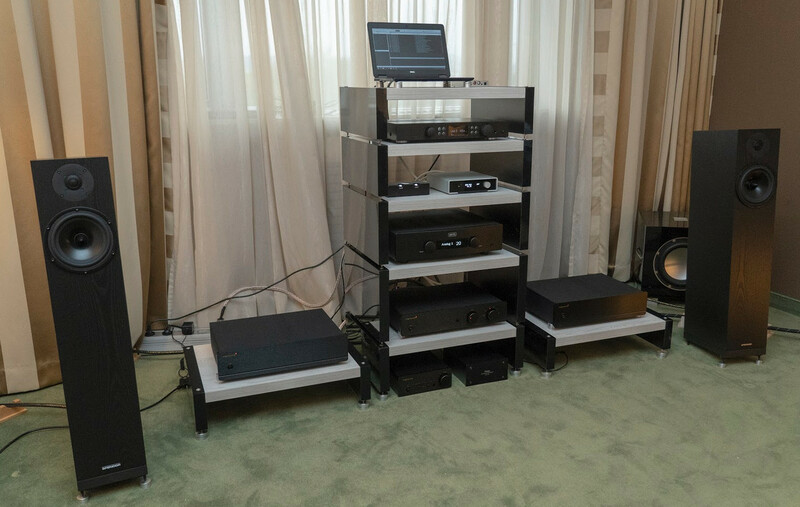 The digital side consisted of a dcS Vivaldi transport, upsampler, clock and DAC (€110'000/set) all connected to magnificent Franco Serblin Ktema floorstanders (€27'500). 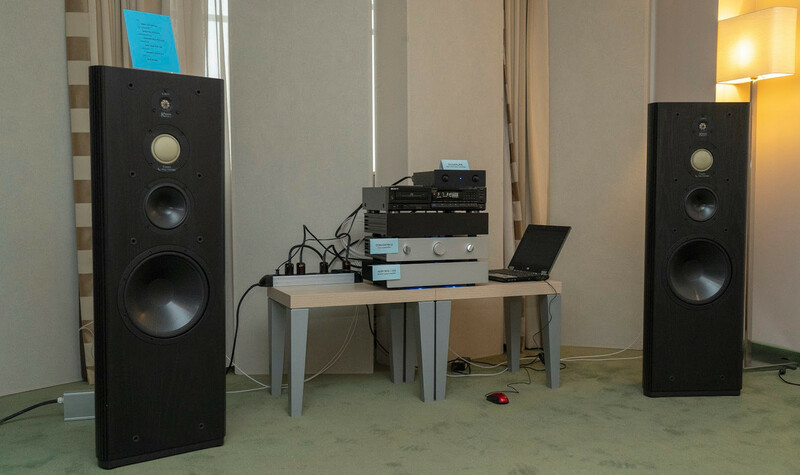 Sretenovic Audio's room was full of blue-green Mcintosh. The MT2 turntable (€5'800) with integrated MA9000 (€13'800) powered JBL Synthesis 4700 loudspeakers (€16'000/pr). 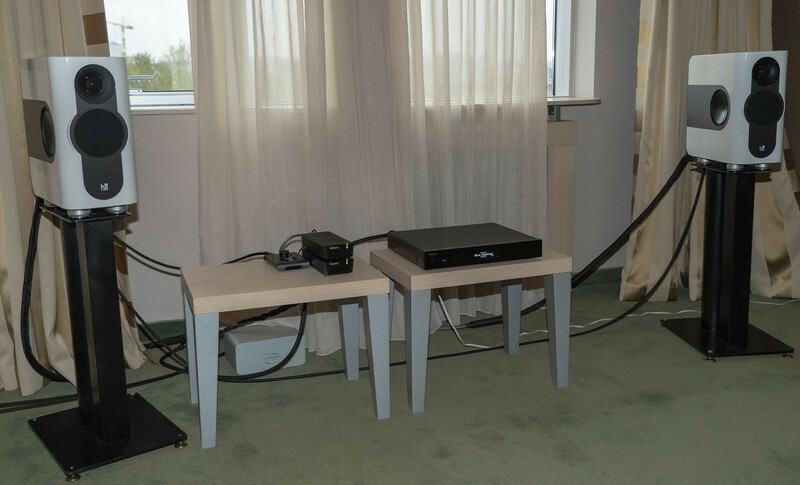 The whole system was wired with MIT Cables' Evolution 1 and 2, Predator 6 and Z-Cord, with Kubala Sosna providing power conditioning. 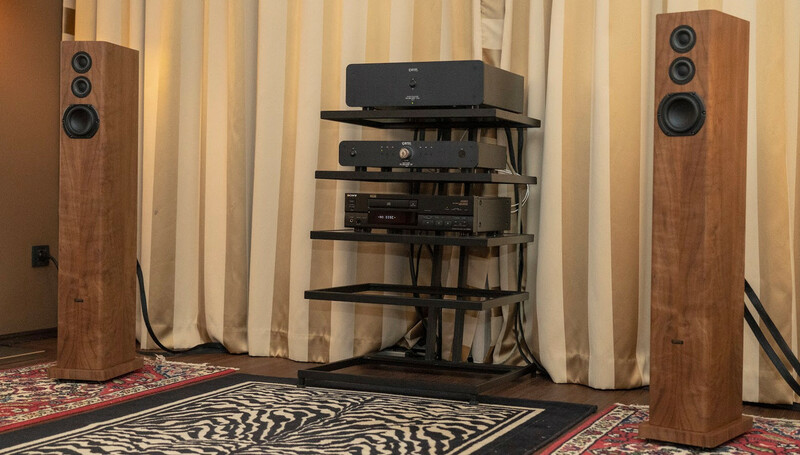 The smaller setup saw a Mcintosh MCD350 player and Mark Levinson N°585 integrated powering Esse Quadro L'Una 146 (€7 '000/pr) and L'Una 177 (€8'500/pr), interesting new loudspeakers from Italy. 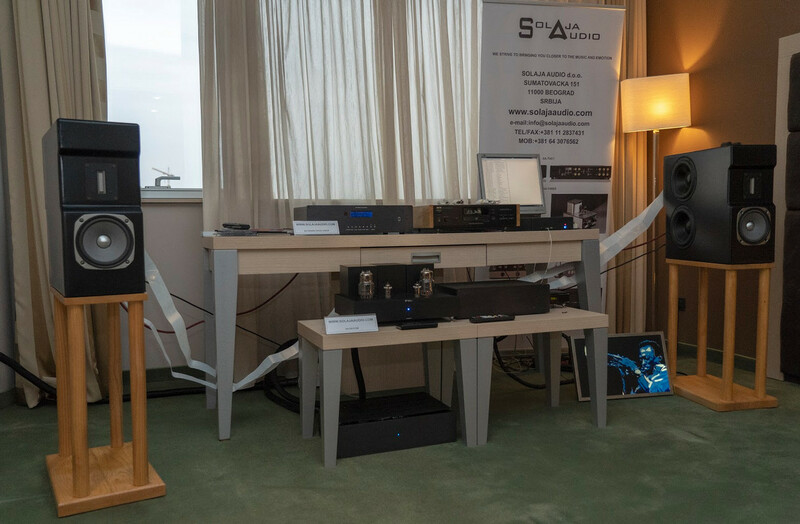 4Audio's grand presentation was dedicated to Sonus faber Cremonese Il (€45'000/pr) connected to a full Audio Research Reference stack: CD9 (€14'000), DAC9 (€13'000), 6PRE (€14'000) and 160M monos (€17'000/ea.). 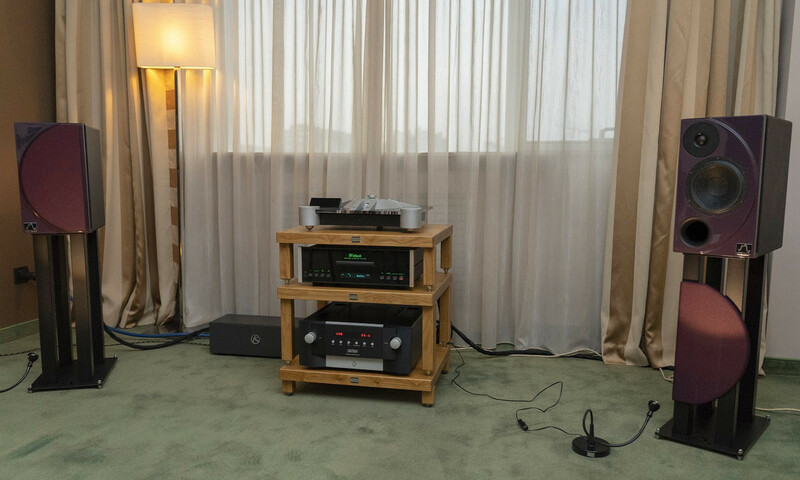 In the other room, a premiere of Unison Research MAX 1 loudspeaker (€4'5007pr) connected to a valved Unison Research S6 integrated (€3'500) fronted by a Unico CD Due player (€3'200). 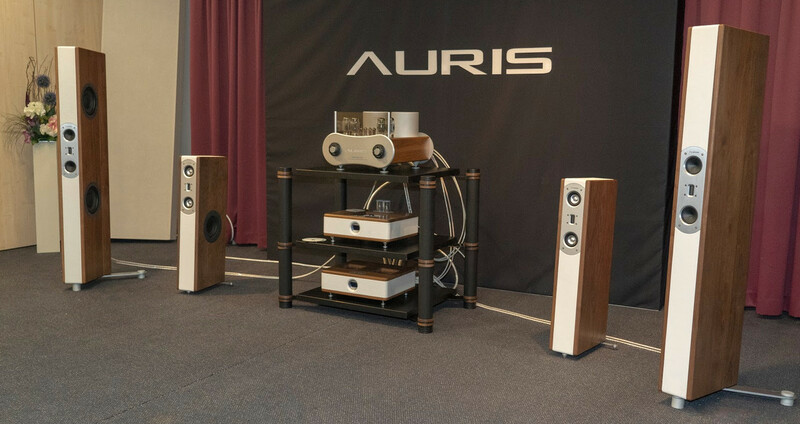 Auris Audio are another newer Serbian manufacturer with a growing international presence. 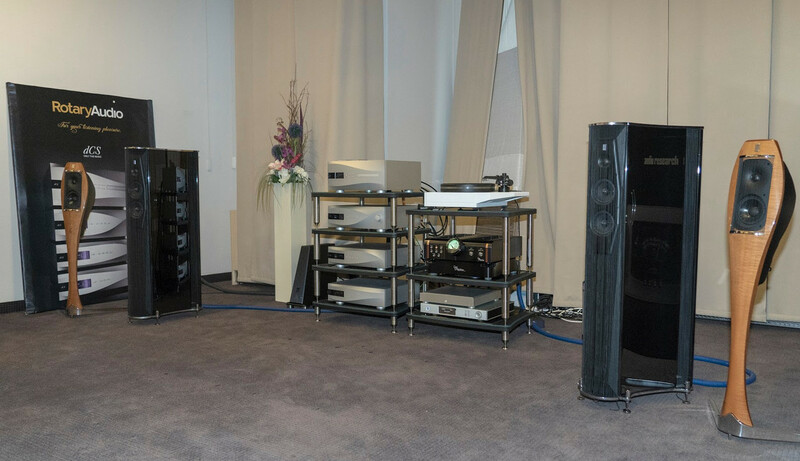 Their Fortissimo push/pull integrated with KT120 (€10'900) powered their 4-way Poison 88 loudspeakers (€12'000/pr). As source, Auris used a prototype CD player named Legato (€4'900 expected) and native DSD D2D DAC (€2'450). We also had a chance to listen to push/pull Forte 150 monos (€16K/pr) with KT150 power tubes and 6SN7 inputs matched to a Largo preamp (€3'000). 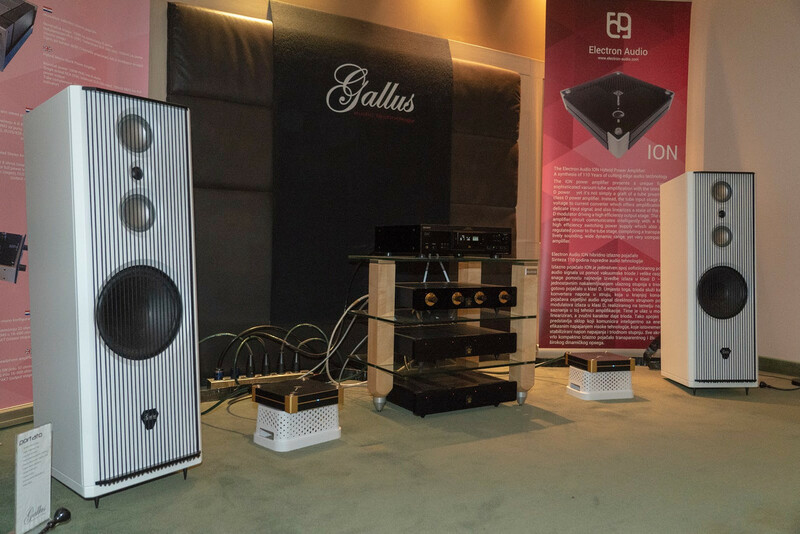 Gallus Audio, a loudspeaker house from Slovenia, decided to showcase a rather affordable example from their range, the Portato floorstander (€3'000/pr) which adopts a 4-driver 3-way sealed box design with D'Appolito configuration with a potent and direct sound as shown with class D monoblocks from Croatia's Electron Audio rated at 500w/4Ω and triode inputs plus a Griffon XT preamp. Šolaja Audio from Serbian are a valve amp brand with occasional but successful departures into TVC and digital-to-analogue-conversion. Their DAC1541 employing the famous Philips chip in NOS mode with valve rectification and output stages sourced music to their SA-Harmony preamp with valve rectification and stabilization (€2'000) feeding the SA-SE215W power amp with 6S33S output tubes (€3'500). Fonos Audio have a low-profile yet very interesting designer from northern Serbia who showcased his DSD64-native digital player Clearline, the Convertible hybrid preamp (€1'650) with user-switchable solid-state or tube power supply and selectable output valve gain, plus Aery RPS100 hybrid power amplifier (€1'850) which had no difficulty moving the heavily modified Infinity Kappa 8 loudspeakers. 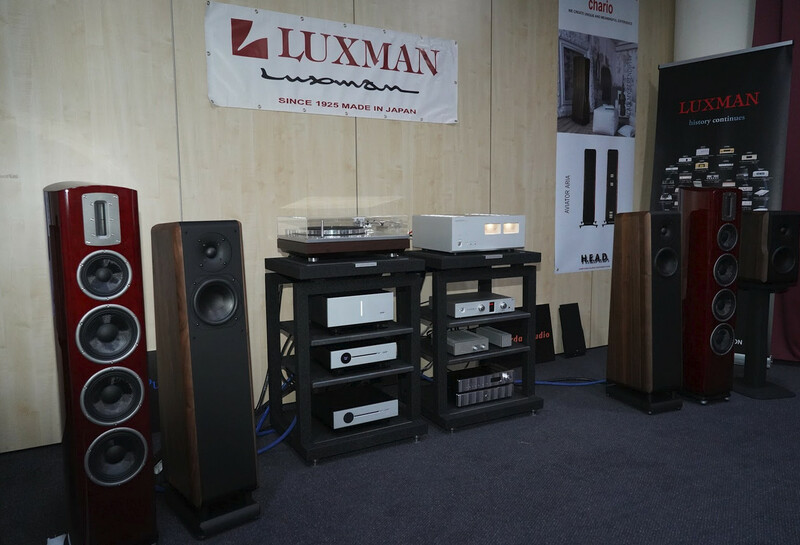 Vox Trade had minimalist yet very insightful presentations: the main showcase comprised a Moon Neo 260DT transport, Karan Acoustics DAC, Moon P8 preamp (€17'000) and Moon W-7m monoblocks (€26'000/pr) which powered Dynaudio Contour 60 floorstanders (€9'000/pr). The system used Ultra series cabling from Transparent Audio cabling throughout. 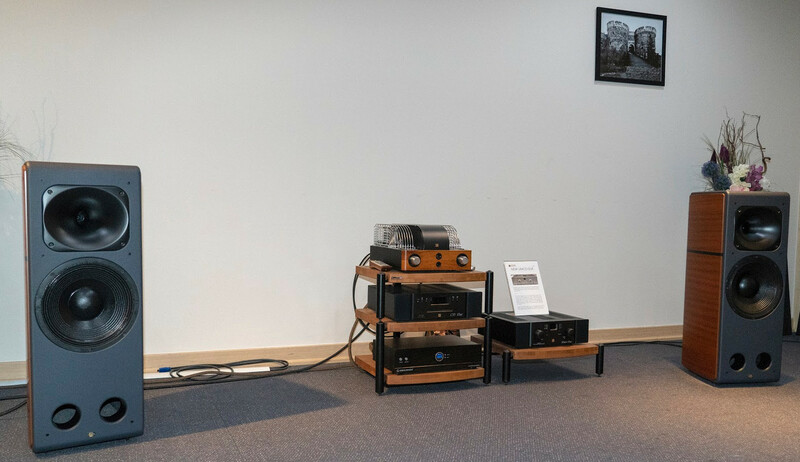 Trifecta Audio offered a combination of old and new: a Roon Nucleus (€1'800) connected to LampizatOr's Amber 2 DAC (€2'000) which fed an Audio Note Signature (€6'000) into AN-J loudspeakers (€6'000/pr) through Audio Note Sotto Silver interconnect and speaker cables. Alternatively, SOtM's SMS200 Ultra, SPS500 Ultra, TX Ultra and Master Clock played source. Dayens from Serbia are famous for their loudspeakers and affordable amplification. 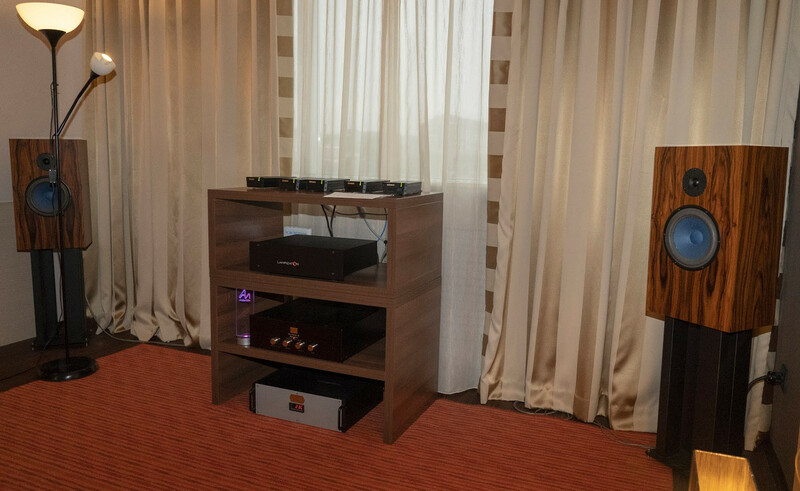 The company's fascination with small drivers continued with this Grande Mikra, a 2-way 4-driver floorstander (€4'500/pr) powered by the company's new pre/power combo Ecstasy IV (€2'000) and Ecstasy IVse (€3'500) in an exemplary display of power and refinement. AV Impuls displayed the Spendor Classic 213 (€4'000/pr) coupled with a 5010 combo from Exposure which replaces the former MCX range at €7'500 for the set. The fine range of DACs from Chord included the Hugo 2 (€2'250) and non-portable Qutest (€1'500). The sound was complemented by a REL S3 SHO (€1'950) for just the lowest bass. 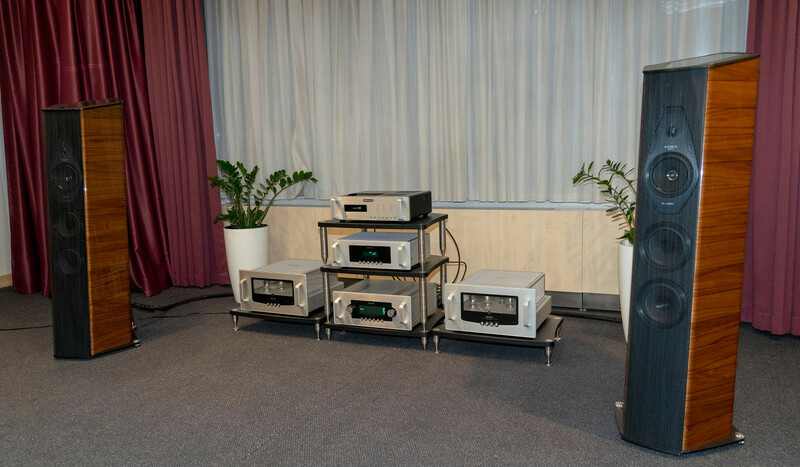 Intec from Slovenia presented a Resolution Audio Cantata 3.0 (€13'000) and Aurender ASCR10 with ripping transport on NuPrime STA10 monos (€1'800/ea.) 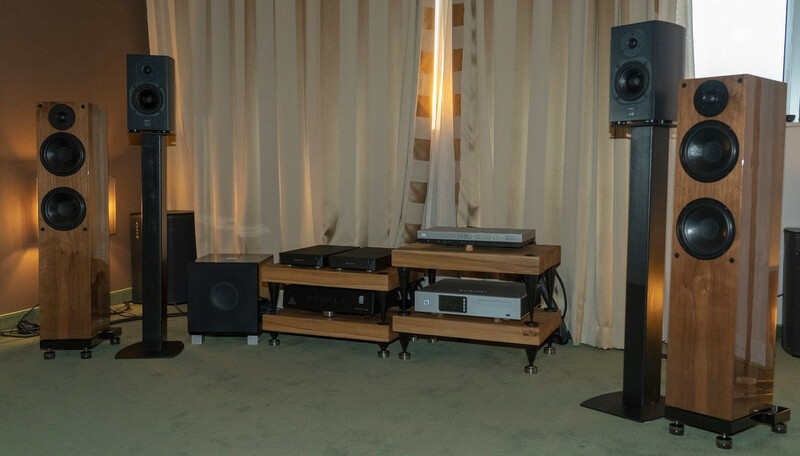 connected to Wilson Benesch Square Three loudspeakers (€6'000/pr) and PSI Audio's active bass traps AVAA C20 (€2400/ea.). Accessories included a Shunyata Denali power conditioner (€5'500) and cabling was by Audioquest. 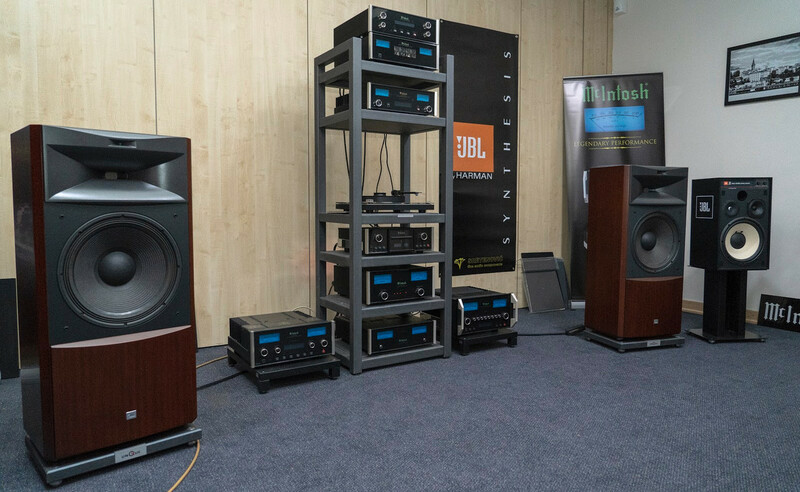 Finally Kii Audio Serbia presented their Three loudspeaker (€11'080/pr) with a total of six drivers and elaborate DSP gain trickled down from the pro segment. The DSP takes care of cutoff frequencies, phase and time correction as well as tone controls with the matching Control remote (€1'500). The Three connected to a Melco Server N1A (€2'500) used as media server.